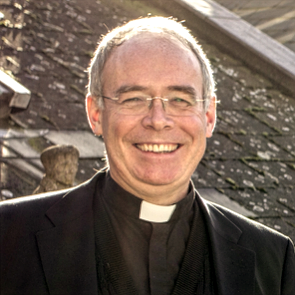 We look forward to welcoming Mgr Mark Langham, Catholic Chaplain to the University of Cambridge, who will be giving this year’s Aquinas Lecture entitled “Defrosting ecumenism: from exposition to altruism”. The lecture will take place at 6pm on Monday 28th January, at Blackfriars Priory, Buckingham Road, CB3 0DD. Mgr Langham is a priest of the Diocese of Westminster, who, before arriving in Cambridge as Catholic Chaplain in 2013, worked at a parish in Bayswater, followed by the role of Administrator of Westminster Cathedral. He subsequently worked in Rome at the Pontifical Council for the Promotion of Christian Unity, as secretary to ARCIC, the Anglican – Roman Catholic International Commission.